[Context and motivation] Traceability is not as well established in the automobile industry as it is for instance in avionics. However, new standards require specifications to contain traces. Manually creating and maintaining traceability in large specifications is cumbersome and expensive. 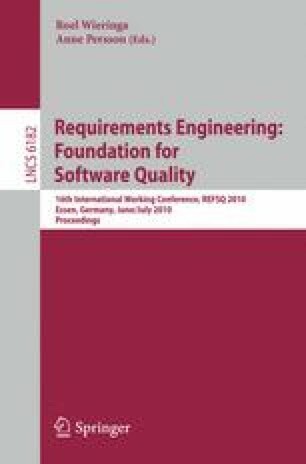 [Question/problem] This work investigates whether it is possible to semi-automatically recover traceability within natural language specifications (e.g. requirement and test specifications) using information retrieval algorithms. More specifically, this work deals with large, German specifications from the automobile industry. [Principal ideas/results] Using optimized algorithms, we are able to retrieve most of the traces. The remaining problem is the reduction of false-positive candidate traces. [Contribution] We identified optimizations that improve the retrieval quality: Use of meta-data, filtering of redundant texts, use of domain language, and dynamic identification of signals.